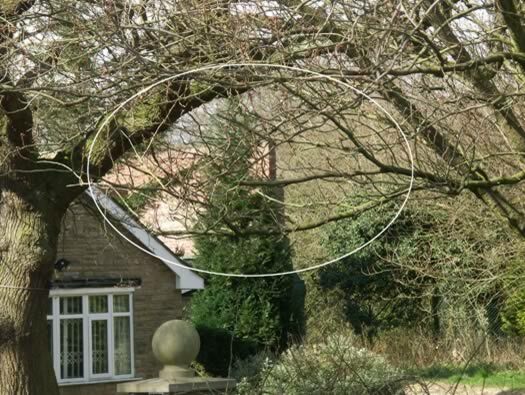 You can use the Ordnance Survey 'Get a Map' and follow the instructions. Copy and paste the map reference. Plan of the airfield site and all the dispersed sites. 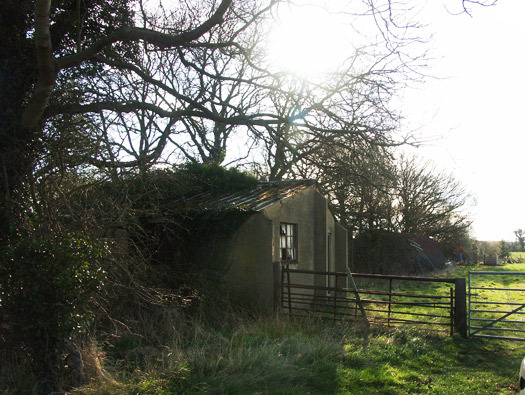 Situated south of the A64 below York, I drove from Copmanthorpe junction south to the huts I found were near the village and not part of the airfield but were RAF style Laing huts. 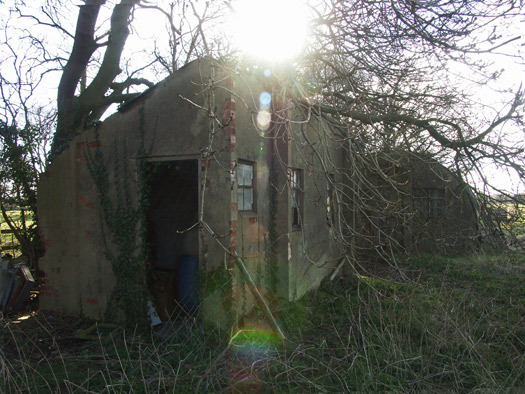 I found these huts back near the village and they may have nothing to do with the airfield. 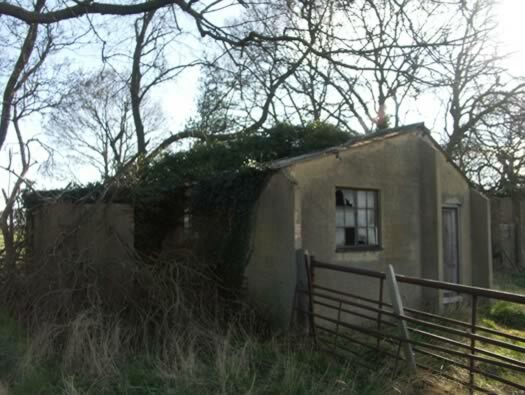 History : Laing huts were first designed in 1940 and made of timber framed, plaster board and covered in tarred felt sheeting. Inside was just plaster board. The roof is corrugated asbestos. 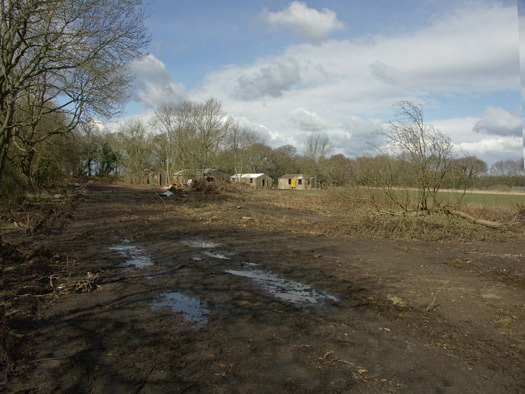 This small camp has about 5/6 huts left and some have been re-clad with modern materials. Plan possibly a supply camp?. 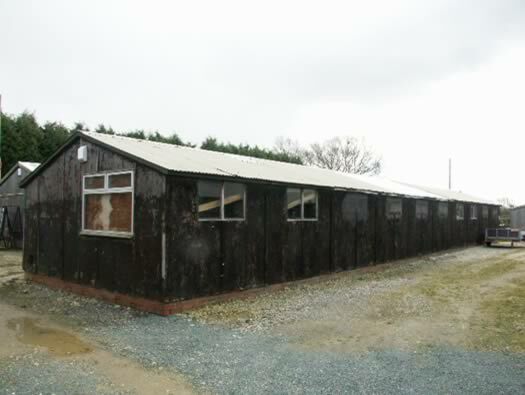 Another hut and it looks as if these have been used for chickens and now as small factory units. 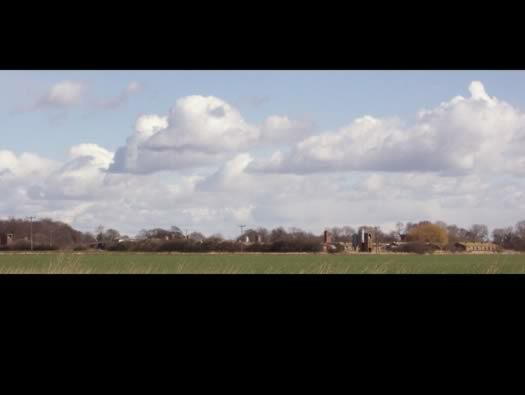 History : RAF Acaster Malbis opened in 1942 as a fighter station for No.12Group, Fighter Command and a satellite to RAF Church Fenton as a fighter base for one squadron. The first unit to arrive was No.601 with American Airacobras, not a very popular aircraft at all. They proved useless and were discarded in favour of Spitfires by March 1942. 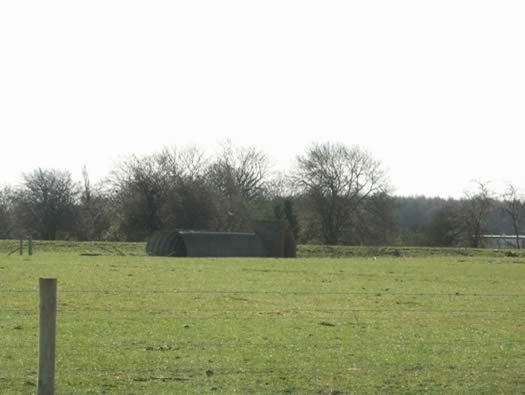 Picket post of this small domestic site with several huts remaining. Plan of the site today. I see from the air photo that the field 'B' across the road from where I took this photo also had some huts and a roadway, now all removed? 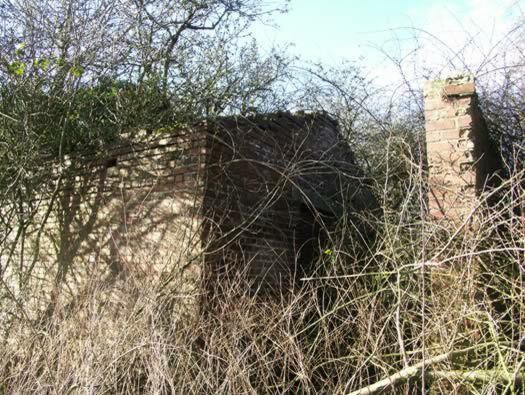 Picket Post with attached Toilet site 10. 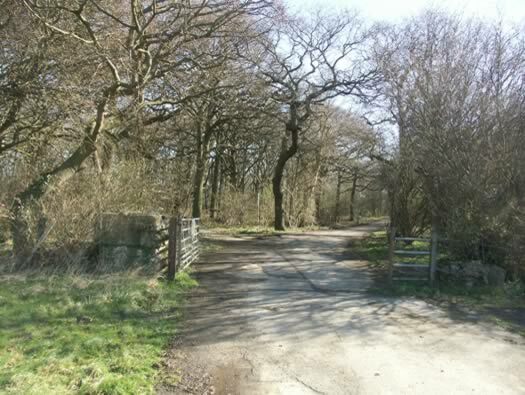 7900/40(14509/41) attached on the left of this picket post is a small toilet block. Latrines Officers. 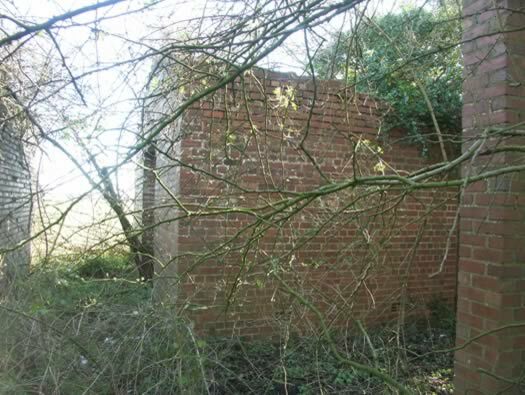 A standard Latrine block 9026/41 found on all wartime airfields with a door in each end and a urinal and toilet one side and two toilets the other. Plan of a 9026/41 latrines, there could be several combinations for urinals, Elsan buckets or flush toilets. 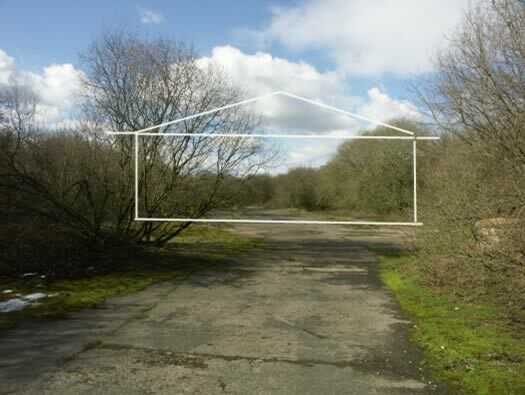 Plan of a Nissen hut. Iron stove usually there were two to a standard Nissen hut. 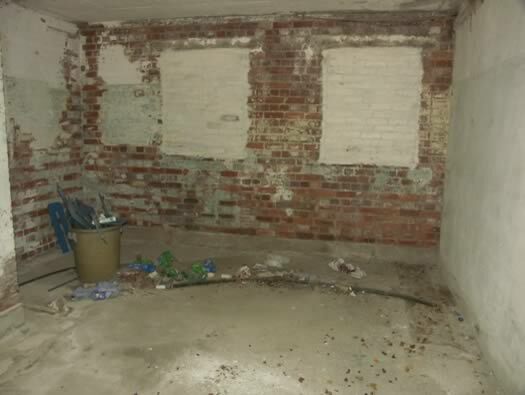 This one is arraigned with a brick face, door, two windows and an air vent. There are many combinations that can have been used with this type of hut, wooden ends or just open for general storage. 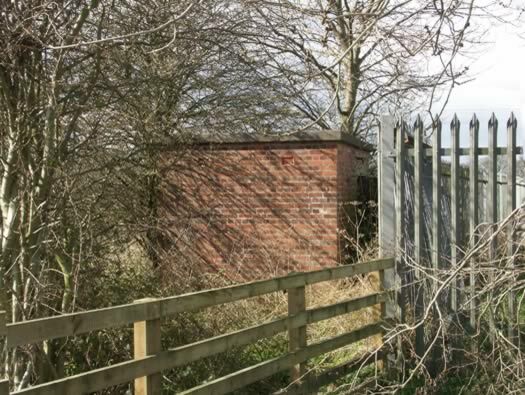 A protected electrical substation with a pitched roof and blast walls. History : April 1942 Acaster Malbis was turned over to 21Group Flying Training Command as No.15 (Pilot) Advanced Flying Unit with Oxfords. Inside there are two ducts sunk into the floor running L/R and set into the walls are four vents with adjustable covers. Aa Yorkshire Brick from Castletown. The yellow square is the sub station. Plan of 1942 airfield with six fighter pens and five Blister hangars. 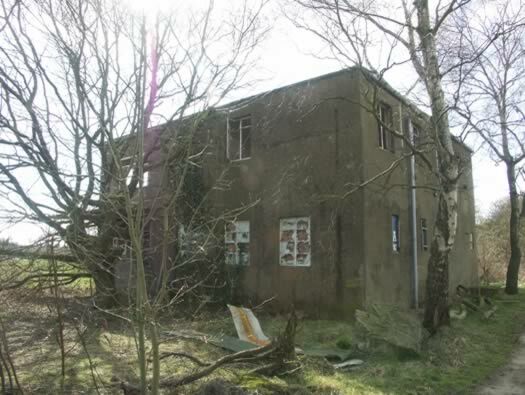 Set behind this house is the 25yd machine gun range now a garden. The butts are in the red square. Plan of a rifle range. 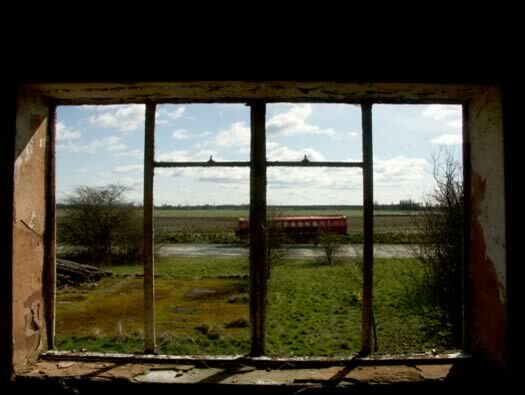 History : in 1943 all flying ceased and the airfield was re built as an 'A' class heavy bomber station. This included three runways, two T2 & one B1 hangar, 12 dispersed sites and a perimeter track with 36 of the later spectacle aircraft dispersals. The yard circled in white and where I parked to walk the airfield. 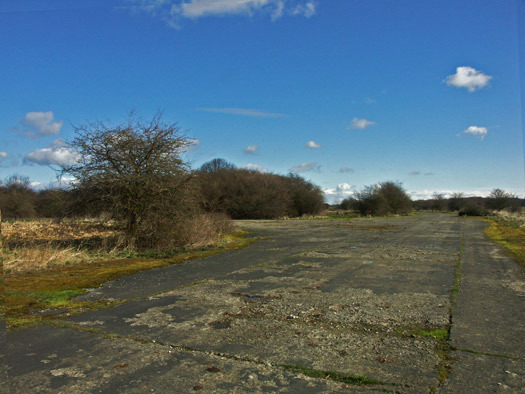 On the original airfield it was designed as a fighter base with six double pens and that meant it could hold one squadron of 12 aircraft. Crew Rest, Locker & Drying Rooms. Crew, restroom, locker & drying room 1191/43 a building where pilots and crew could hang all their flying clothing in a heated room. Crew, restroom, locker & drying room 1191/43. History : Local Halifax training squadrons used Acaster Malbis. 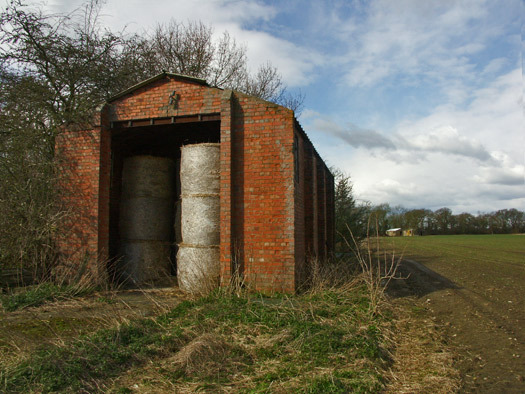 Marston sheds could be clad with tin (as in this one), asbestos sheeting and brick. A very flexible building. Portable easy to dismantle & assemble. This one is NOT on the plan and may have been moved here at a later date? 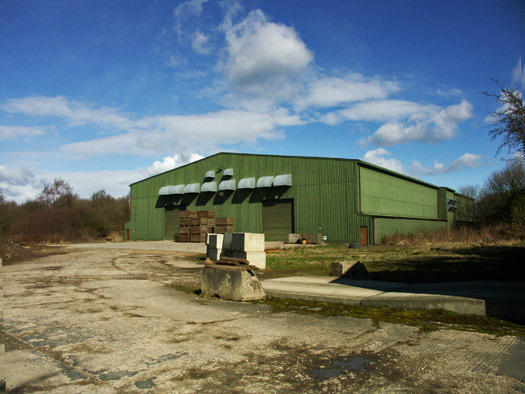 Marston Shed at RAF Enstone. I walked the perimeter track in a clockwise direction. History : The only problem here is that the airfield was built on low lying land close to a river which creates fog on too many occasions. 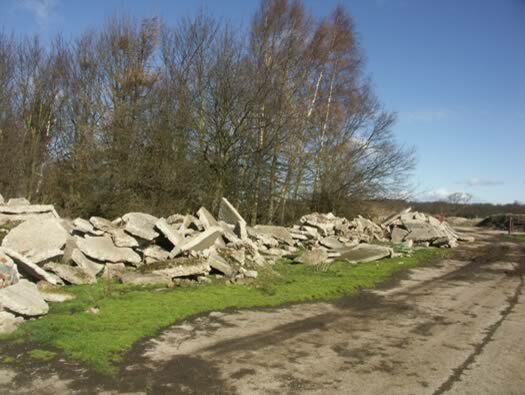 This caused many flying accidents and the airfield was never used as an operational base. 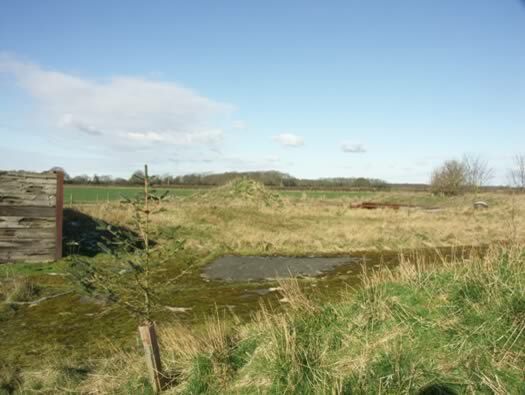 Several local airfields used Acaster Malbis as a training field by. Three runways 150 feet wide. 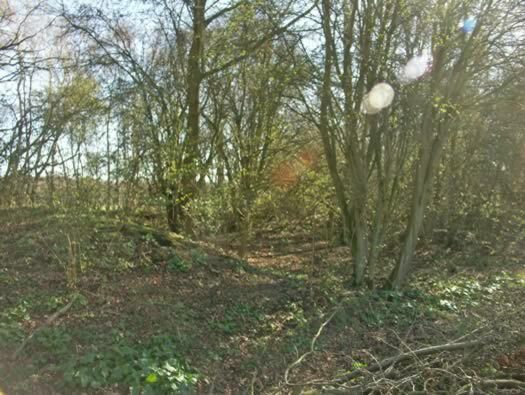 In the event of an attack by paratroopers the airfield defence commander would go straight here and run the battle via his viewing slits, his telephones and his runners to deliver messages. Plan of a battle HQ. 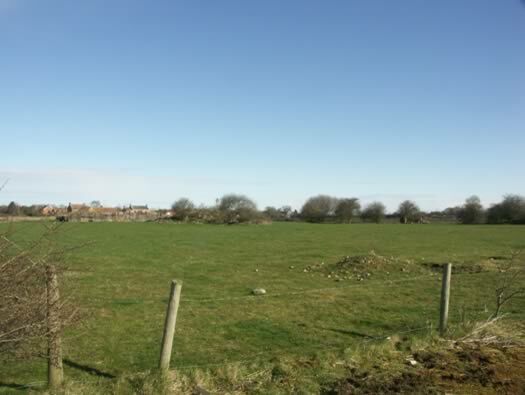 In this northern corner the Petrol Instillation Aviation 72000gal 13022A/42. USAAF tanker bowser fuelling up at an RAF P.I.A. Mechanical & Electrical Plinth to transform high voltage electricity down to the power used in this area This was used to power the fuel pumps in the bulk fuel installation and the several huts in this area. Glass set into cement around the top of M&E plinths as a security measure. Gate hinge on an M&E plinth. History : W/O Bertram Pinner DFM (pictured) received his investiture notification whilst at RAF Station Acaster Malbis (holding unit) 27th October 1945. 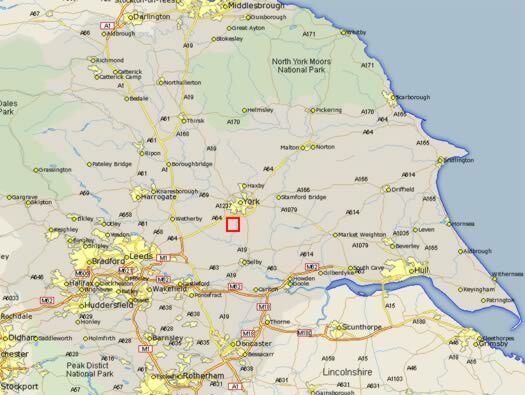 Lancaster's moving around a perimeter track. 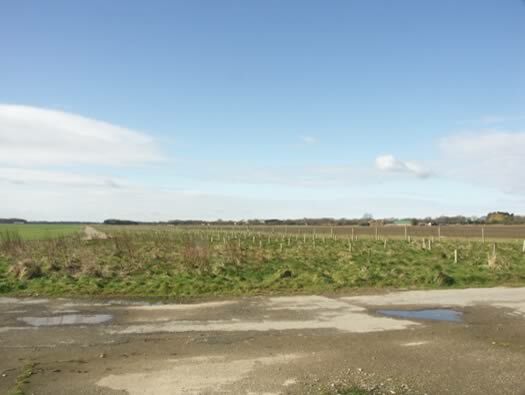 Trees have been planted on the runway now so it will soon be woodland. Perimeter track running around to the wood and the bomb store. 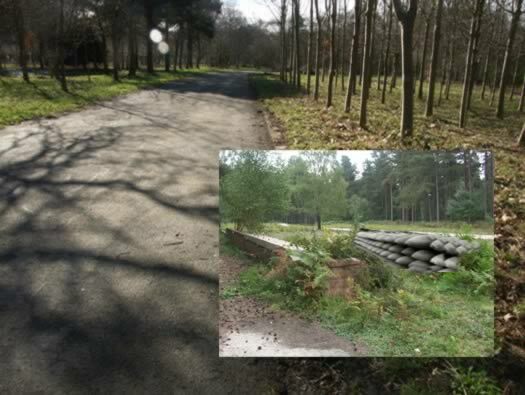 This is the first part of the woodland, a barrier of concrete drains from the runways bars a small entrance into the wood where there is a road way, a small square bomb store and two brick slit trench defences. 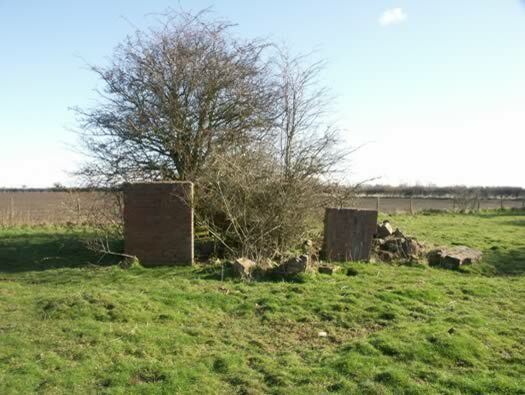 History : These defences must have been part of the earlier airfield of 1940 vintage when defences were put in against the threat of German parachutists. By the time the second airfield was being built that threat had gone. 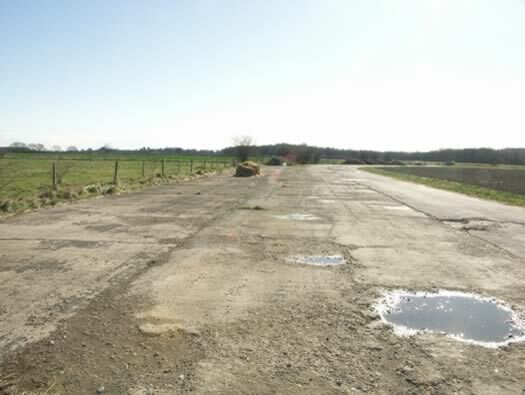 Concrete drains removed from the runways. The red line is the roadway. 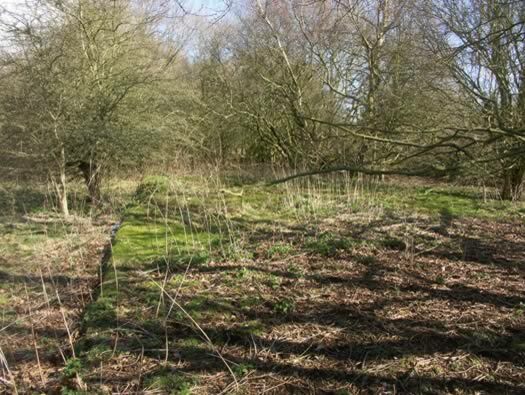 These trenches may have been part of the pre 1942 bomb store. Fuzed & Spare Bomb Store. An earth travis running around the store with access for the road to come through. 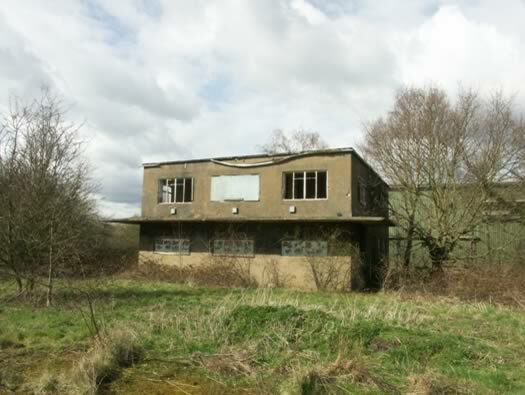 A fused bomb store at RAF Keevil. 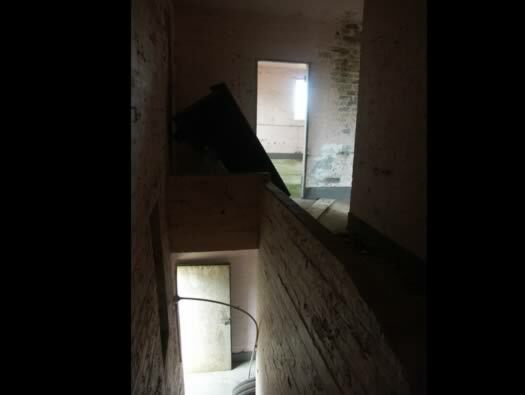 Main entrance off the Perimeter Track to the Bomb Store. A full 'A' class bomb store with four main storage areas and three fuzing points. 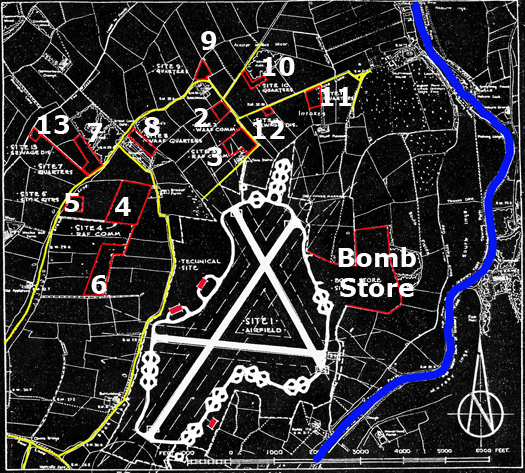 Plan of the bomb store. 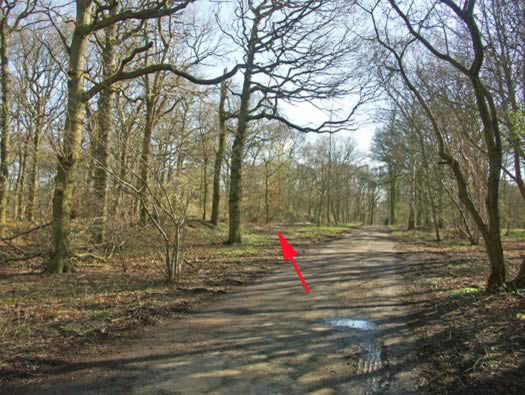 There were 2 fuzing points along the entrance track on the right and on the left an A.I.S. Laboratory. Jane type I.A.S Laboratory [54 on plan] 6211/43 steel. Aeronautical Inspection Service inspectors to check I presume quality. 'They were a nit picking bunch of job's worth at 16MU- most of them incapable of checking what they were tasked to do', from Aix. 140 - Fuzing point building, Nissan, Ultra heavy 7900/42 -4176/43. 142 - Fuzing point bldgs, Nissen, heavy light, 4773/41. 144 - Sea marker & flame float store, Nissen, 12725/41. 145 - Small Arms Ammu. [aircraft] store, Nissen, 12725/41. 146 - Component store, Temp. Brick, 4733,42. 54 - A.I.S. Lab., Steel (corrugated iron), 6211/43. Fuzing point building, Nissan, Ultra heavy. 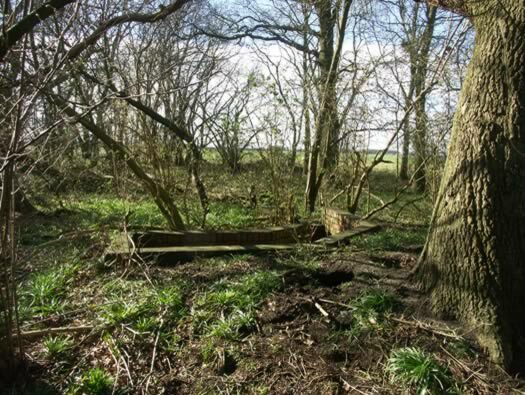 At the base of the trees is a brick trench looking south. 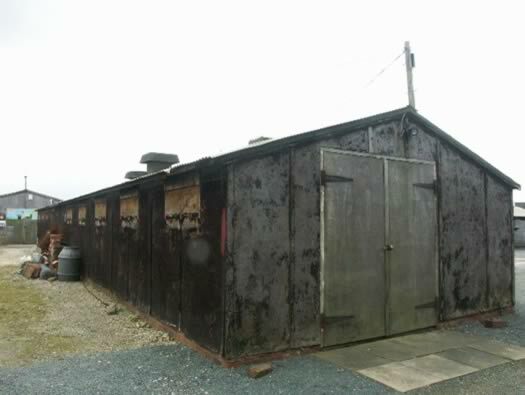 History : Bomb trailers would pass through the huts and fuses fitted in. Paperwork would come down to the bomb store to say what bombs were needed, what fuze's and what settings. Then they would be collected, fuzed then driven around to the aircraft dispersed around the airfield. 142 on the plan is a 4775/42 fuzing point. Inside s Nissan hut fuzing point. How it would have looked. History : A circular loop roadway with four main stores for heavy bombs and then different storage and hut for incendiaries and fuses, etc. We are now here on the plan. Bomb Store Loops to Left & Right. 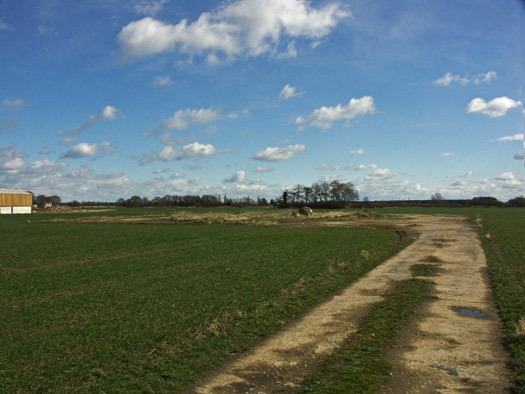 If bombers had or were used here this would have been a very busy area. 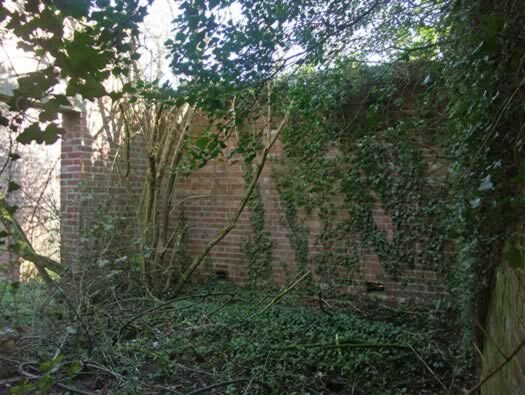 There was a brick wall with a concrete cap and a slope down. On the wall would be several iron rings to trammel the bombs off the lorries. 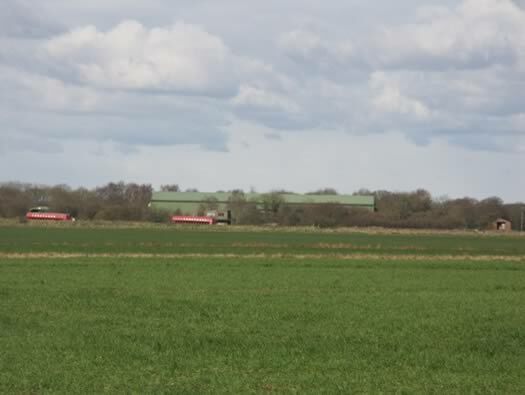 Trammelling bombs off of their delivery lorries. Incendiary Store 151 on plan 47344/42.. There would have been a drive through earth traversed wall all the way around. 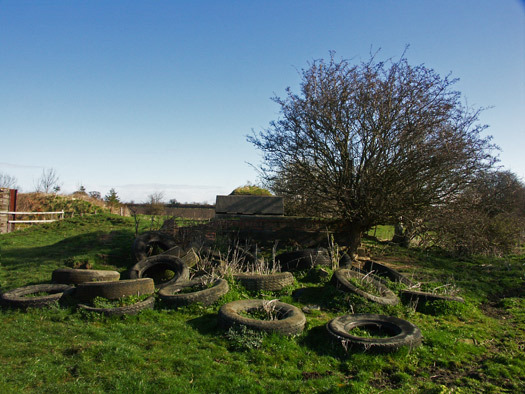 Incendiary store at RAF Keevil. 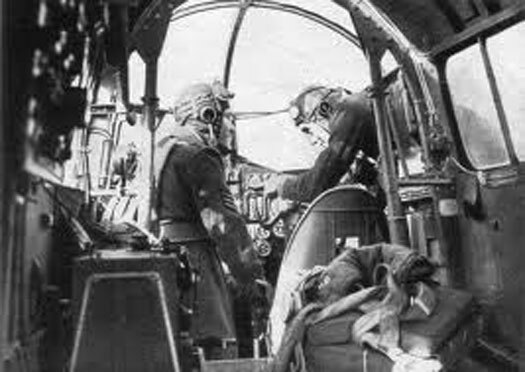 Incendiaries being dropped from a Lancaster. Perimeter Track & a Spectacle Aircraft Dispersal. 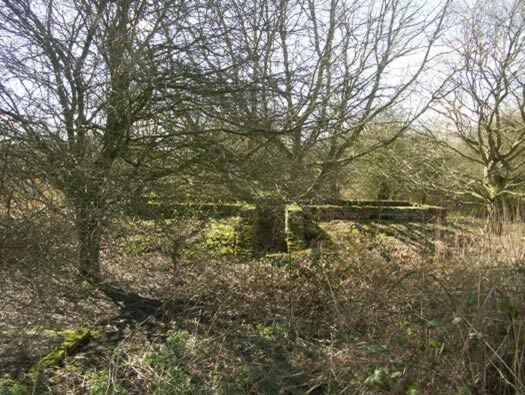 As this was a late build 'A' class bomber station it had 36 spectacle aircraft dispersals. T2 Hangar & Control Tower across the Airfield. In this pile are pieces of lamp fittings. One of the many manholes. 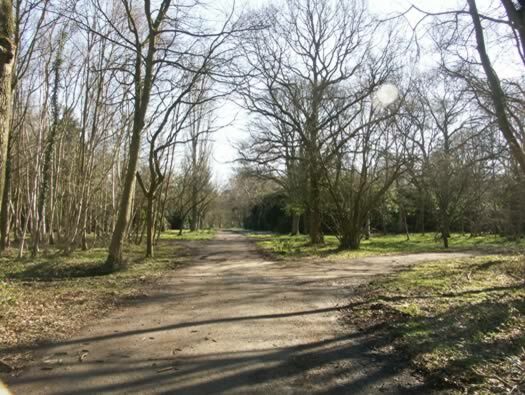 This is the area where the shelter is and its right out on its own, one hell of a run from the dispersals. 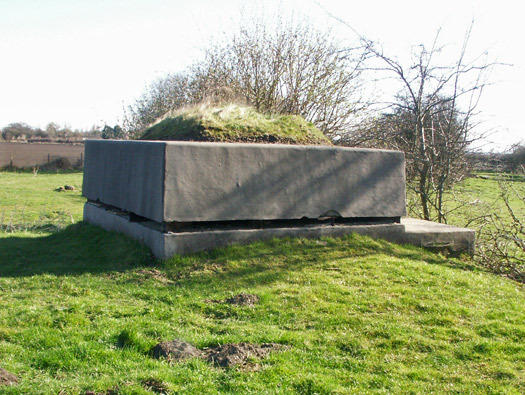 107 was an M&E plinth to bring electricity to the area. Runway drain with cover now scrapped. The type of drain cover..
50ft Perimeter Track running off to the B1 Hangar Base. Bomber bases usually had two T2 hangars and one B1 Ministry of Aircraft Production repair hangar. They repaired badly damaged aircraft with civilian workforce to take pressure of the RAF repair teams. 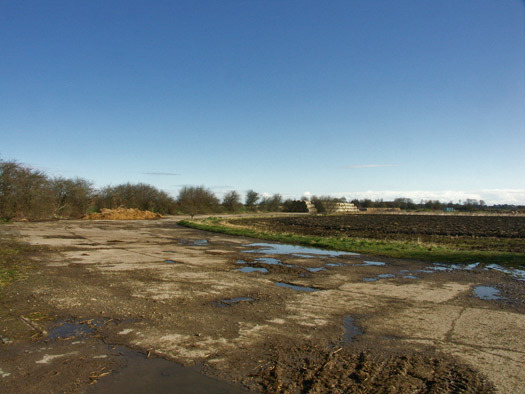 The site of the B1 hangar, now a barn sits in its place. 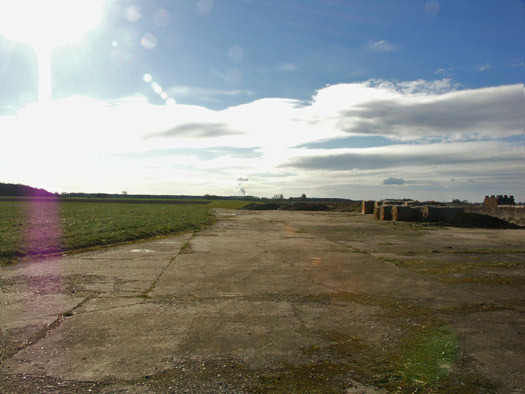 Eight aircraft dispersals & the base of a B1 hangar and one Nissen hut armament & equipment store. Inside a B1 Ministry of Aircraft Productions hangar. Perimeter Track to B1 Hangar. 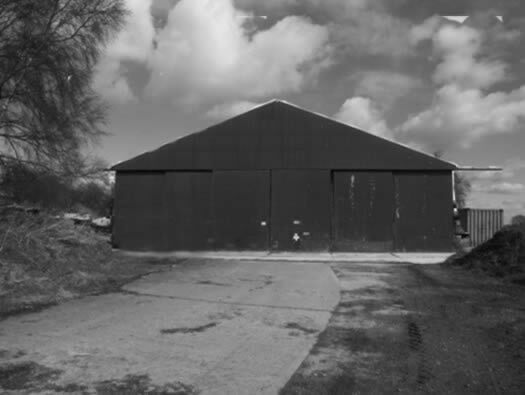 The B1 hangar and the armament & equipment hut, two huts general purposes, two technical latrines, thank you Terry. 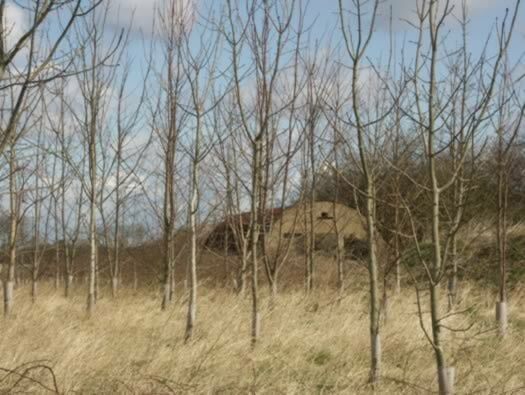 Nissen Hut 114 on the plan. 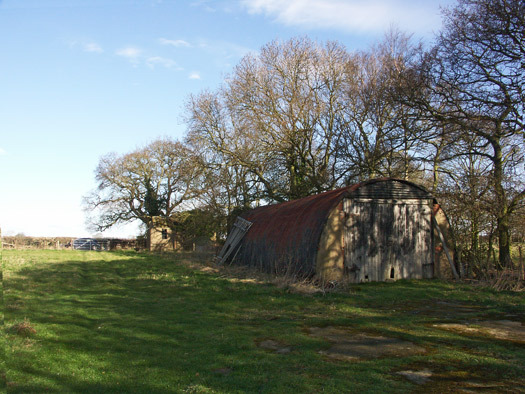 Next to the B1 hangar  were several huts, two sets of latrine 117/118 and three Nissen huts. 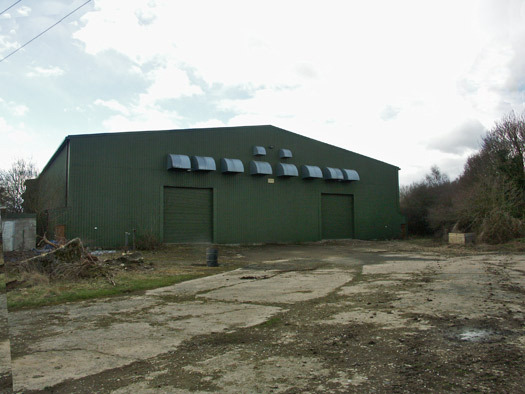 Nissen hut  11420/41 was the armament equipment store. The second petrol installation [120 on plan] on the airfield, one at each end dispersing the fuel in case of aerial attack. A 72,000 gal capacity type 13022/42. 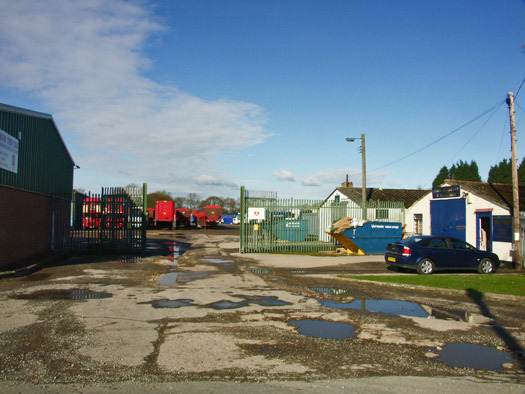 120 Petrol installation 72,000 gal13022/42, 121 is the Picket Post a sort of guard room. 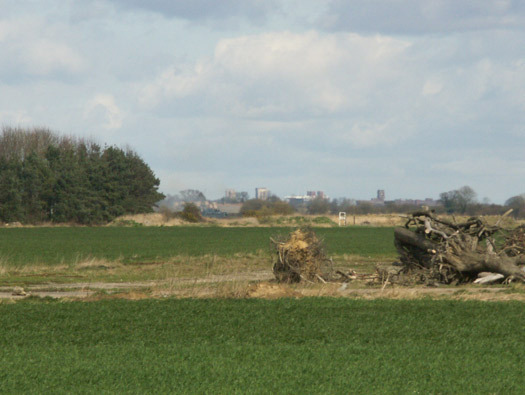 York Minster in the Distance. 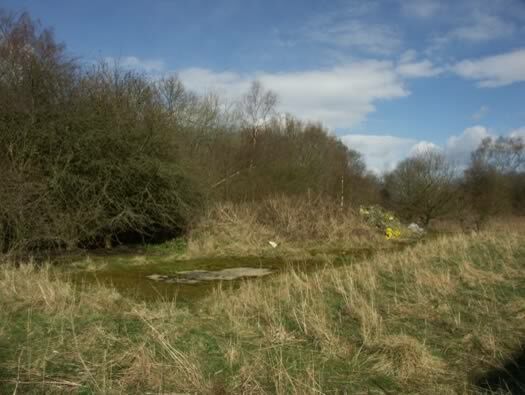 There were three landmarks for pilots to use when landing here, York Minster in the north, the York to Selby railway line in the west and the river Ouse that flows SE of the airfield. Perimeter Track to the first T2 Hangar Base. 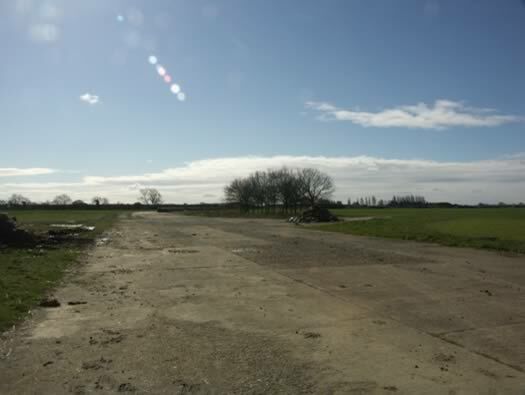 Base of one T2 hangar and one T2 re clad, a control tower, several hut bases, some huts & fire tender house. 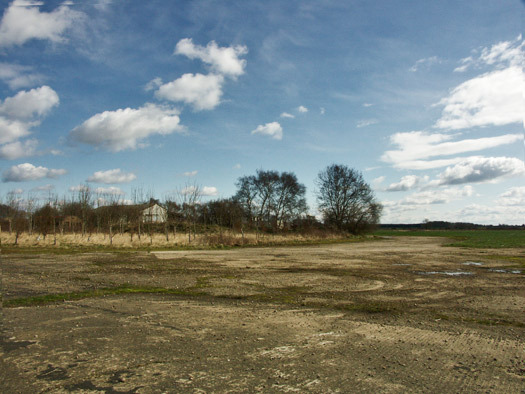 Base of the first T2 Hangar. [57 on the plan] T2 Type 3653/42. Plan of the e technical area. Re-clad with the doors replaced and now used as a potato store. The original doors laid out behind. Combined Instructional Building 92 o plan 1191/43. Right behind the second T2. 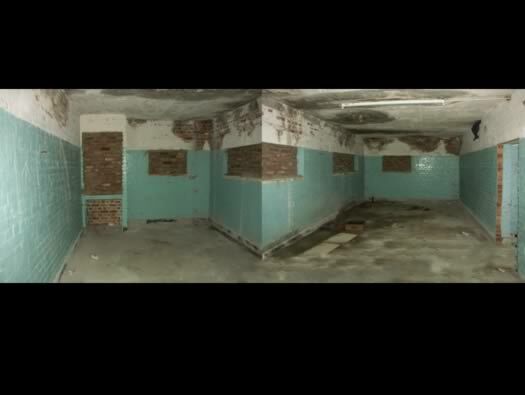 This is a plan of crew drying and rest room which was No.7 on the plan but here it is being used as an instructional building. There would be a heating plant on the end of this building like this one. 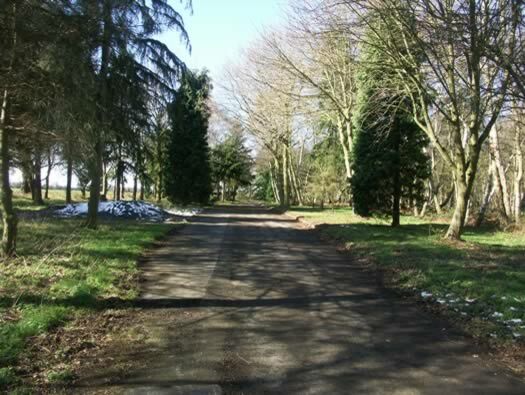 Pathway to Squadron Maintenance Block 'A'. 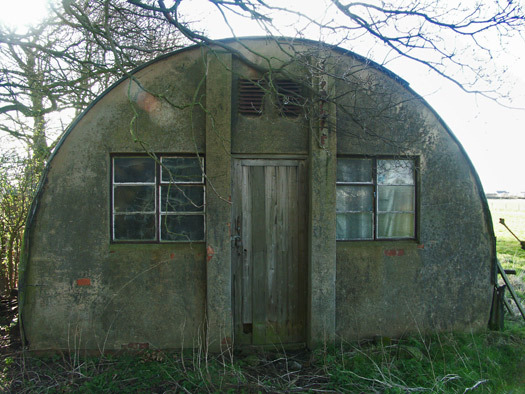 More 24ft Nissen hut 90 on plan 12777/41 with 2411/43. 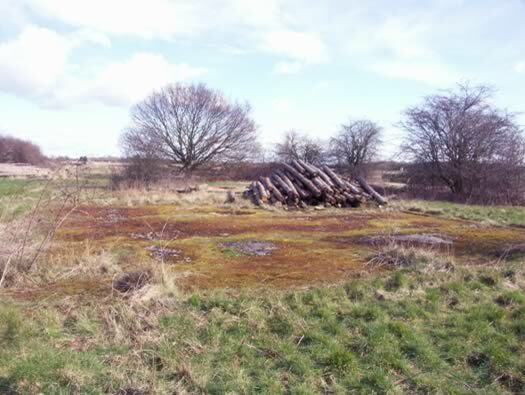 24ft Nissen at RAF Marston Moor it may have looked like this. The blue hut in the middle. 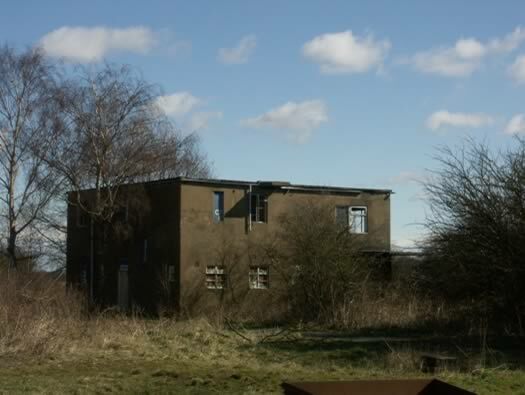 Works Service Buildings No's. 68 to 74 on the plan. 68 - Wrks. store, Nissen, 10024/41. 69 - Wrks. latrine, Temp. Brick, 5538.42. 70 - Wrks. store, Nissen, 10024/41. 71 - Wrks. C of Wrks. & station Engs. Off., Temp. brick, 5538/42. 72 - Wrks. 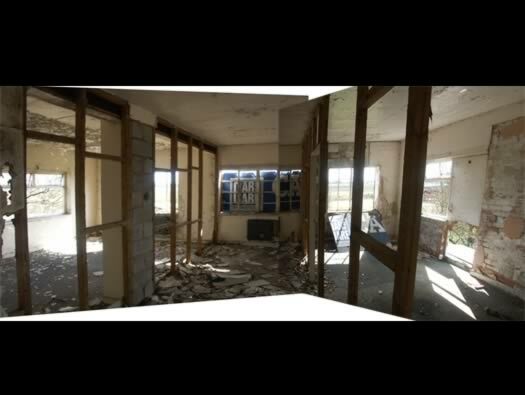 Mess room carpenters & fitters shops, Temp. brick, 5538/42. 73 - Wrks. store, Temp. brick, 5538/42. 74 - Wrks. DSWO's Off. & AG'L Imp. Shed., Temp. brick, 5538/42. Red square on the plan. 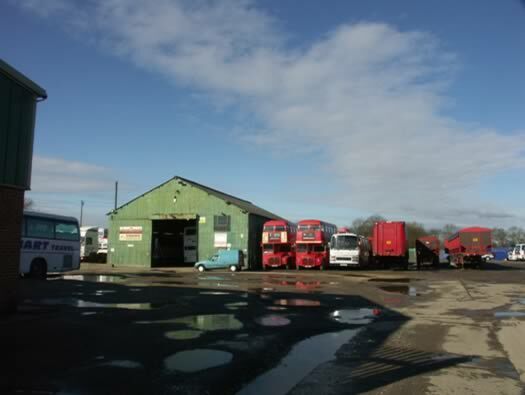 Floodlight Trailer & Tractor Shed. 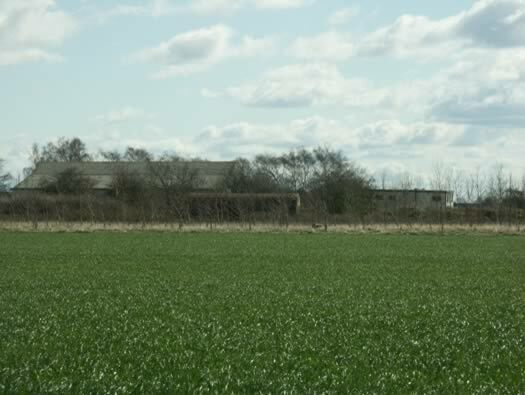 Floodlight Trailer & Tractor Shed 45 on plan 12411/41. 47 - M&E Plinth [Transformer]. T2 Aircraft Shed, [Hangar] 3653/42. 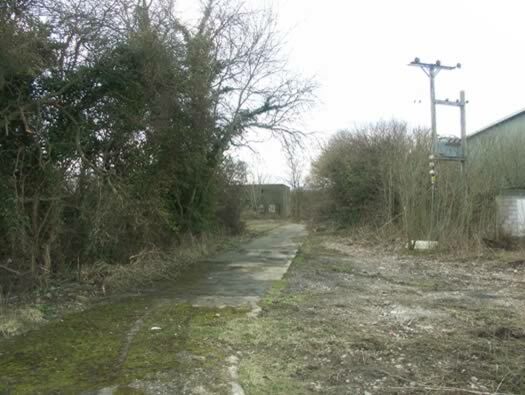 Roadway behind the Control Tower. 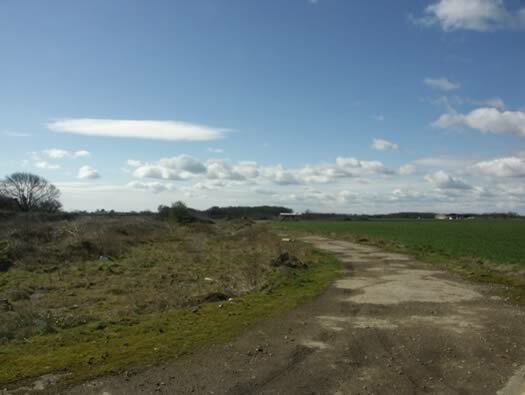 With the T2 on the right and a road leading along behind the control tower. 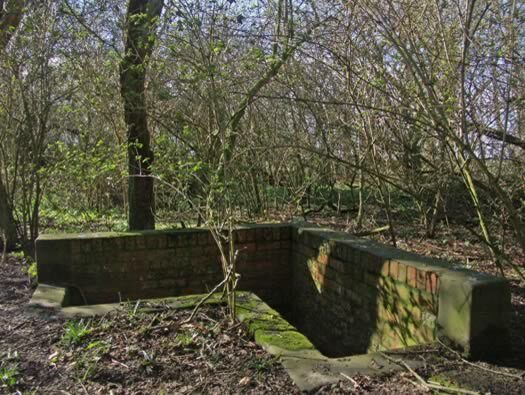 50 - fire tender shelter, Nissen, 12410/41. 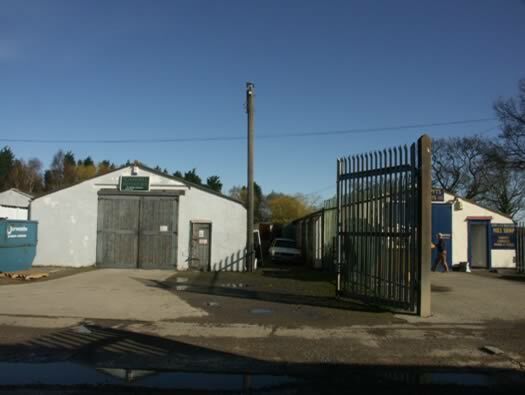 51 - signals apparatus building, Steel, 4701/43. 52 - control tower [watch office], perm. brick, 345/43. 53 - balloon filling hut perm. brick. Watch Office for All Commands 343/43. Watch Office for All Commands 50 - perm. brick 343/43. Halifax doing a touch and go in training. 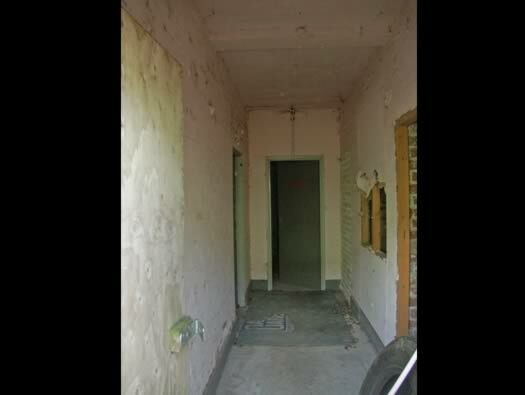 Corridor from rear door to watch office. B - duty pilots rest. 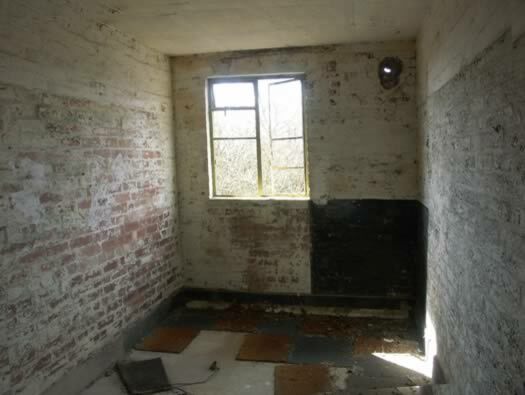 Met office with a toilet in left corner, rear left room. The watch office. 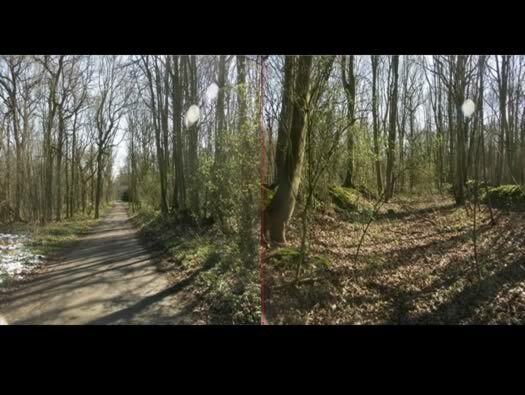 I have tried to join two photos together. The cupboard on the left is for Very pistol flair cartridges. 1941 British No3 mk1 Very pistol. Controllers rest room middle right. There has been some modern alterations to the control room. How it would have looked. (Thanks to Terry for the Flight Sim image). It would have had a large AM stating Acaster Malbis. Signs laid out here tell a pilot wind direction and runway to use. Speech Broadcasting 23 on plan 10786/41. 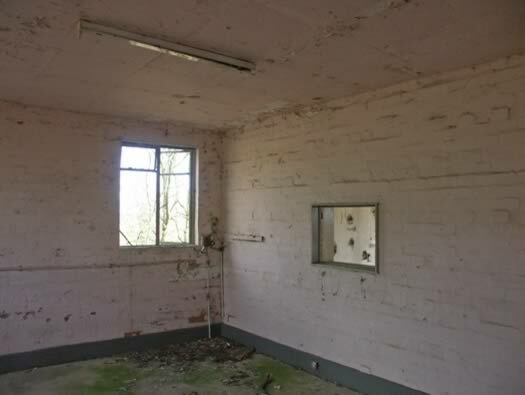 This was for speech broadcasting, the radio one of ww2, messages could be passed through this building and sent out to speakers all over the camp. 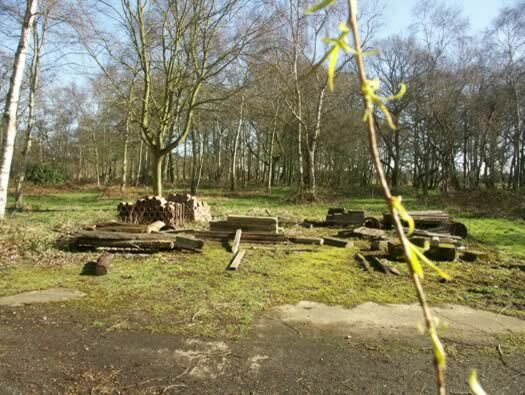 Site 4 RAF Communal. I will continue this site on a second page. 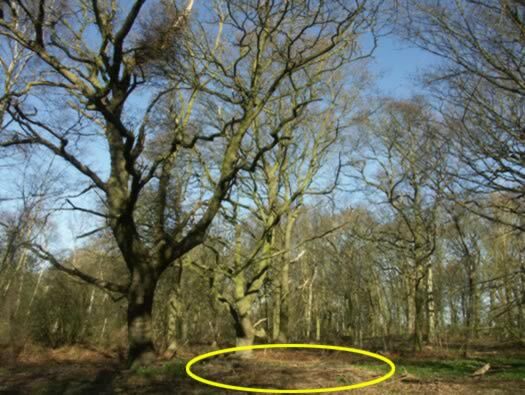 This is a large dispersed domestic site. 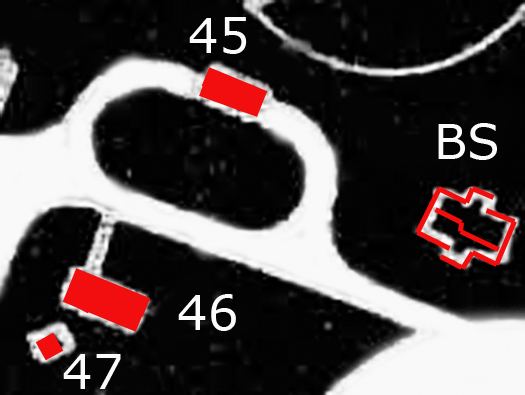 The red square is where site 4 is situated.